As regional operations manager for Buffalo, Jeffrey (Jeff) Panza is responsible for growing LeChase’s business in the Buffalo Niagara Region. In that role he manages local client, employee and subcontractor relationships, oversees daily operations and works to ensure LeChase delivers services and projects that meet or exceed client expectations. Jeff was appointed to his current position in early 2018, having previously served as director of the Buffalo office and director of preconstruction services for the company. He joined LeChase as a project executive in 1999 after almost two decades of experience in the Western New York construction industry. Jeff has a bachelor’s degree in civil engineering from the University at Buffalo. 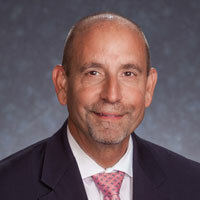 He is a member of the Buffalo Niagara Partnership’s Manufacturers Council and Developers Advisory Council, and also serves as a board member of the Western New York Chapter of the American Red Cross.